The most important suppliers of nuclear technology have recently agreed guidelines to restrict access to the most sensitive industrial items, in the framework of the Nuclear Suppliers Group (NSG). Nevertheless, the number of countries proficient in these industrial processes has increased over time, and it is now questionable whether a strategy based on close monitoring of technology ‘choke points’ is by itself a reliable barrier to nuclear proliferation. Not all the states that have developed a complex nuclear fuel cycle have naturally abundant uranium. This has created a global market for uranium that is relatively free – particularly compared with the market for sensitive technologies. As countries of proliferation concern achieve proficiency in the most sensitive industrial processes, restricting access to natural uranium could be part of a comprehensive and integrated approach to non-proliferation across the fuel cycle. Today, the proliferation risks associated with industrial processes used to extract uranium attract relatively little attention. Natural uranium does not, for example, fall under the NSG supplier guidelines or International Atomic Energy Agency (IAEA) safeguards. Most uranium-producing states seem to be working hard to ensure that they do not contribute to nuclear weapon programmes. However, these countries (some of which have very limited resources to devote to the effort) still face significant challenges. Many African states have experienced increased investment in their uranium extractive sectors in recent years. Many, though not all, have signed and ratified the 1996 African Nuclear Weapon Free Zone (Pelindaba) Treaty, which entered into force in 2009. Furthermore, in recent years, the relevant countries have often worked with the IAEA to introduce an Additional Protocol to their safeguards agreement with the agency. 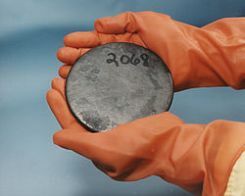 By signing an Additional Protocol, the state commits to collect, and make available to the IAEA on request, information specifying the location, operational status and the estimated annual production capacity of uranium mines and concentration plants as well as their current annual production. However, the value of this information for the purposes of non-proliferation is limited, as it is only provided after some time has passed since extraction, and detailed nuclear material accountancy is not required. The success of the Pelindaba Treaty and safeguards agreements depends on the quality of their national implementation. Finding a balance between effectiveness and affordability requires states to think carefully about which legal and technical competences are required and how to organize administrative efforts for success. One proliferation risk inherent in the current system is that inadequate or falsified information connected to what appear to be legitimate transactions will facilitate uranium acquisition by countries that the producer country would not wish to supply. To reduce this risk, national regulators need to have full picture of how uranium extracted on their territory is to be used. Current systems normally monitor the physical movement of uranium from extraction until it arrives at the place where it is converted to the feedstock introduced into a uranium enrichment plant. However, the regulators often appear to have little knowledge of the associated commercial arrangements. Governments could consider imposing disclosure requirements on the companies engaged in extraction, regarding the customers, size of payments, beneficiaries of payment arrangements and sub-contracting arrangements for the supply of services (such as transportation). The information provided could then be scrutinized to help reduce proliferation risk. Parts of government responsible for reducing proliferation risk do not currently seem to have access to this information—if is being collected at all. A second risk is that uranium ore concentrate (UOC) is diverted, either from the site where it was processed or during transportation, so the legitimate owners no longer have control over it. UOC is usually produced at facilities close to mines – often at the mining site itself – to avoid the cost and inconvenience of transporting large quantities of very heavy ore in raw form to a processing plant. UOC is usually packed into steel drums that are loaded into standard shipping containers for onward movement by road, rail or sea for further processing. The loss of custody over relatively small quantities of UOC represents a serious risk if diversion takes place regularly. The loss of even one full standard container during transport would be a serious proliferation risk by itself. There is thus a need for physical protection of the ore concentrate to reduce the risk of diversion at these stages. A third risk is that some uranium extraction activity is not covered by the existing rules. For example, uranium extraction can be a side activity connected to gold mining or the production of phosphates. Regulations should cover all activities that could lead to uranium extraction, not only those where uranium extraction is the main stated objective. It is also important that all actors involved in uranium extraction are aware of the potential proliferation risks arising from their activities and engaged in risk-mitigation efforts. Restricting access to natural uranium could be an important aspect of the global efforts to obstruct the spread of nuclear weapons. The time is ripe to start thinking seriously about the design of such control measures and how responsibility can be shared across the non-proliferation regime.